I guess these are pretty popular in the crafting community. I found a bunch of designs already charted out. 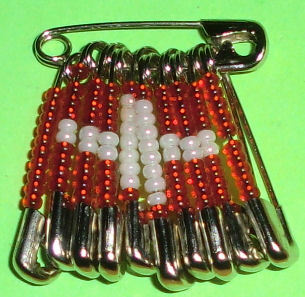 A gal I work with wanted a Swiss flag pin. So, I quickly put this together. I probably could have used a little larger pin for all the hanging pins. Might do that if I make more in different designs.